The bliss in building a collection happens at a very early stage. The third graders at our older kid’s class are into water globes, legos, bouncy balls, greeting cards, baseball cards, marbles, beads and the list goes on. It was surprising when the purpose of their collection was to primarily learn more about the world. Kids are by nature curious and collections play a role in fostering it. Some collections like postage stamps, coins, baseball cards extend beyond childhood and can be a long lost friend on rainy days. Philately is a hobby that any kid with a burgeoning interest in the world we live in, its inhabitants, countries, and cultures will appreciate. This is the first in a series of articles on philately with a focus on kids. 1. What are the different collectible items in philately? The most popular item is used stamps. Close in its heels are unused stamps, first day covers, postal cards, metered postage seals, imprints, etc. 2. Is it possible to identify stamps in my collection – year of issue, the story behind the issue, any other details including value? Stamp catalogs are the best resource for this information and the leading one is the The Scott Catalog. 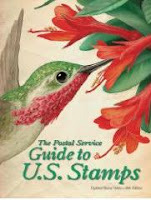 Other valuable sources include the postal service guide to US stamps by USPS and others. 3. How much money is required to pursue philately as a hobby? Like any collectible, philately is highly commercialized. One can easily part with thousands of dollars to build a collection. In fact, numerous collectors do so thereby justifying the need for the multi-billion dollar stamp dealership businesses. However when introducing kids to philately, it is best to downplay the commercial aspects of philately else disillusionment can seep in when they realize money is key to building a collection. Interestingly, in most developing countries, stamp dealerships are rare and those around cater almost to an exclusive group. Thus, kids are mostly spared the notion of acquiring a collection easily with money. 4. How can one build a collection without spending significant money? Trade or otherwise acquire stamps from other collectors. The above steps are practical ways for young collectors to pursue philately. Specializing by country, continent, or topics is another aspect of philately best avoided by a budding collector. Such restrictions make it harder to acquire stamps without spending capital. 5. What other resources are available to help with introducing kids to philately? Stamp clubs around your community is the best resource available to up-and-coming collectors. A more involved alternative is building a network of pen pals and trading partners – dedicated websites help with these. Great idea, though I'm not exactly sure how the contest works! I just started stamp collecting last August, looking to expand my collection. My 12 year old daughter has recently become facinated with collecting stamps. I have not influenced her and I do not know allot about stamps. My Grandfather Erwin Heiman was a famous stamp authenticator. He handled the presidents stamp collections. Unfortunately he has passed. Please include Rachael in your drawing. This is wonderful. We have introduced kids in children home to stamp collecting and many of the kids are very much excited about this. But there are many kids and we don't have much budget to buy stamps enough for all of them each time. This would be a big help for us to bring excitement for the children. I have four kids and would love to introduce them to stamp collecting. Please enter us in your contest. Mercerfreelancing@gmail.com. I used to collect stamps! I think my grandchildren would enjoy this, too. My 11yo would love this! Wow! What a great contest! I've been collecting stamps for about 4 years now and I just love it. Thanks! i have a young friend who collects stamps. she would LOVE this! My son is a stamp collector. Thank you for the giveaway and information about collecting. I would like for my girls to take an interest in stamp collecting. Thanks. My husband and son are just starting their stamp collection. I'd love to win this for them. i have collected stamps all my life is its something i really enjoy alot. make me a winner and thanks for the giveaway. My son recently began stamp collecting and has been writing embassies to get stamps, this would be a dream come true for him! I had a collection as a child and I still have it. My father had a friend in San Salvador, so most of my stamps are from there. I just started stamp collecting. Thank you! I collected stamps as a child and would love to introduce my daughter to the hobby! This soungs great ! My kid will be thrilled if he wins. There are so many treasures in the world of stamps to be discovered! : ))) And, this would be such a magical gift for our stamp collecting family! The randomly selected winners of this giveaway (random.org) are Therese, Alice H, and DG (Comments 7, 10, and 25). A new giveaway is posted every Saturday at: http://www.onefamilysblog.com. Philately has been described as "King of Hobbies" and "Hobby of Kings". I have enjoyed collecting from a very young age and am encouraging my kids to take it up. Stamp collecting for kids is a great hobby specially when you have kids which are into stamp collecting. My 13 years old son is into stamp collecting for quite some times. Thanks for sharing this article about stamp collecting for kids.